The UK’s bulk interception regime violates article 8 of the European Convention on Human Rights, judges in the European Court of Human Rights have ruled by five votes to two. The case of Big Brother Watch and Others v the United Kingdom concerned complaints by journalists and rights organisations about three different surveillance regimes: (1) the bulk interception of communications; (2) intelligence sharing with foreign governments; and (3) the obtaining of communications data from communications service providers. Both the bulk interception regime and the regime for obtaining communications data from communications service providers have a statutory basis in the Regulation of Investigatory Powers Act 2000. The Investigatory Powers Act 2016, when it comes fully into force, will make significant changes to both regimes. In considering the applicants’ complaints, the court had regard to the law in force at the date of its examination. As the provisions of the IPA which will amend the regimes for the bulk interception of communications and the obtaining of communications data from communications service providers were not in force at that time, the court did not consider them in its assessment. 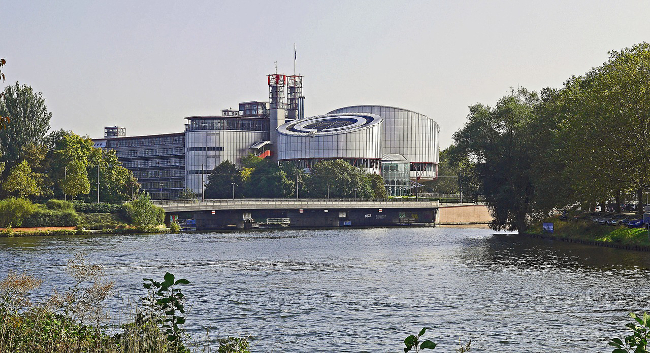 In today’s Chamber judgment the court held, by five votes to two, that: the bulk interception regime violated article 8 of the ECHR (right to respect for private and family life/communications) as there was insufficient oversight both of the selection of Internet bearers for interception and the filtering, search and selection of intercepted communications for examination, and the safeguards governing the selection of “related communications data” for examination were inadequate. In reaching this conclusion, the court found that the operation of a bulk interception regime did not in and of itself violate the Convention, but noted that such a regime had to respect criteria set down in its case-law. The court also held, by six votes to one, that: the regime for obtaining communications data from communications service providers violated article 8 as it was not in accordance with the law; and that both the bulk interception regime and the regime for obtaining communications data from communications service providers violated article 10 of the Convention as there were insufficient safeguards in respect of confidential journalistic material. It further found that the regime for sharing intelligence with foreign governments did not violate either article 8 or article 10. The court unanimously rejected complaints made by the third set of applicants under article 6 (right to a fair trial), about the domestic procedure for challenging secret surveillance measures, and under article 14 (prohibition of discrimination).